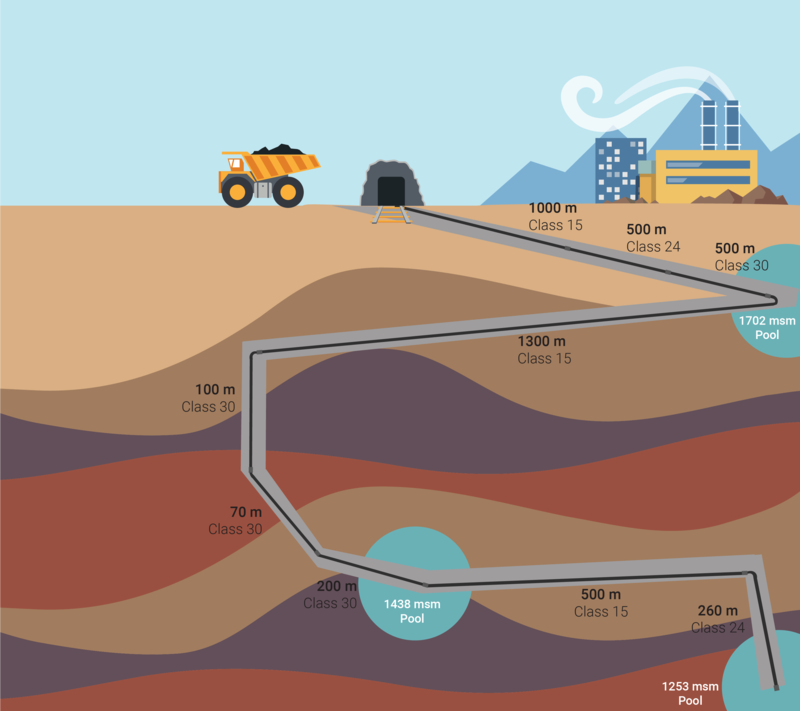 Drainage in underground mine with slopes between 40° and 90°. At NEMISA underground mine, groundwater levels were rising, interrupting production and avoiding continuity and exploration in the mine. Taking into account the complex topography and depth of the mine, where the water was at 700 meters depth, a pumping system which could work at high pressures to move the water through pools at different mine levels. The slopes inside the mine ranged between 40° and 90°. Steel: was not suitable since it is not flexible, expensive to install and suffers easily from corrosion. HDPE: was not suitable since it doesn’t withstand high pressure and installation would have been complicated. PE-X: was chosen due to its high pressure resistance, its simple and fast installation, and its availability in pipe sections of 1200 meters. 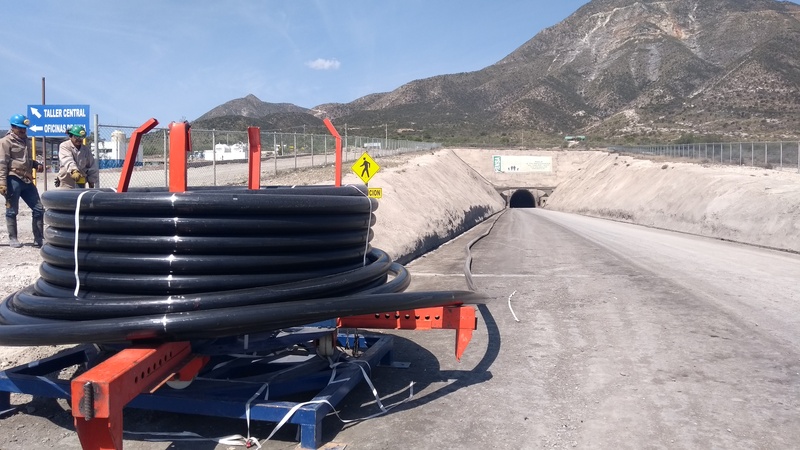 After choosing the PE-X for the drainage line, Pexgol supplied 4400 meters of coiled pipe. Part of the coils were deployed inside the mine through cesspits. 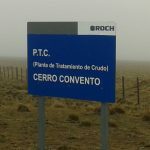 The other part was deployed outside the mine, and the pipes were dragged by a truck hundreds of meters to the point of installation. 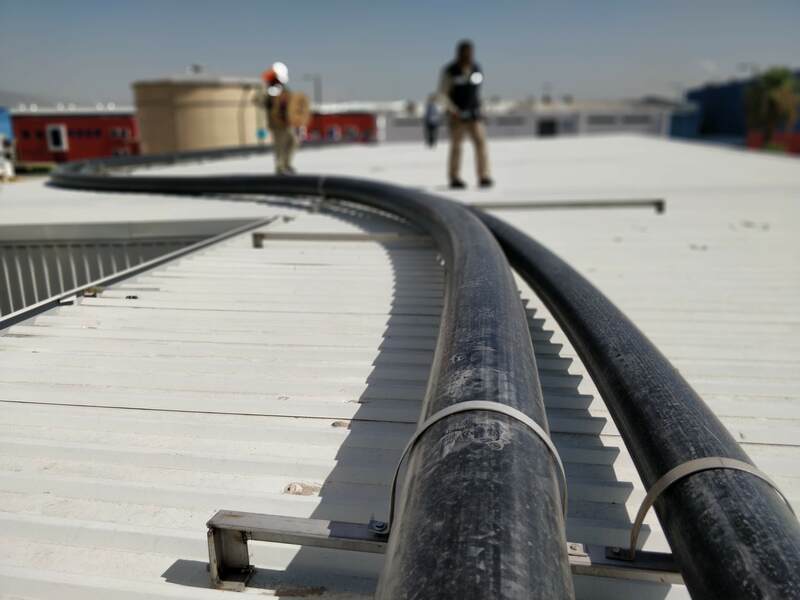 The installation required very few connections, and the operators of the plant were very satisfied with the speed and ease of installation of the Pexgol system. The connections were made with flanged couplings and did not require special tools. It was not necessary to install any kind of pipe supports, the mine ramps were used as existing supports. NEMISA was very satisfied and decided to continue using Pexgol for other dewatering applications.